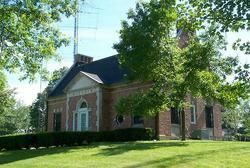 Support ARRL: Attention Federal Employees -- ARRL Approved for 2013 Combined Federal Campaign! 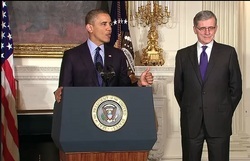 On Wednesday, May 1, President Barack Obama announced that he nominated Tom Wheeler to be the new Chairman of the Federal Communications Commission. If the Senate confirms the nomination, Wheeler will replace Julius Genachowski who announced his resignation from the FCC in March. Pending Wheeler's confirmation, FCC Commissioner Mignon Clyburn -- the agency's soon-to-be senior Democrat -- will serve as the Commission's acting chairman. Wheeler, 67, has served as an informal adviser to Obama in recent years and has been a major fundraiser for his political campaigns. He has a background as a venture capitalist and as a lobbyist for the communications industry. He is the former President of the National Cable Television Association (now known as National Cable & Telecommunications Association) and former Chief Executive Officer of the Cellular Telecommunications & Internet Association. Currently, he is a Managing Director at Core Capital Partners, a venture capital firm in Washington, DC. Read more. 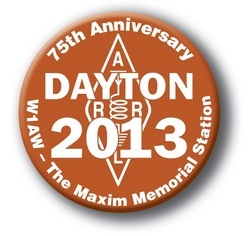 The ARRL will present a variety of DX activities as part of the ARRL EXPO -- the ARRL's "show within a show" at the 2013 Dayton Hamvention, to be held May 17-19 at Hara Arena, near Dayton, Ohio. Activities will include DXCC card checking and the opportunity to drop off QSL cards for the ARRL Outgoing QSL Bureau, as well as to apply for awards, such as the IARU Worked All Continents Award, the IARU Region 3 Operating Award and several awards administered by the Japan Amateur Radio League. In addition, representatives from the International Amateur Radio Union and several IARU Member Societies will be on hand within the EXPO area. Read more. In celebration of the 63rd anniversary of Armed Forces Day (AFD), the Army, Air Force, Navy, Marine Corps and Coast Guard are co-sponsoring the annual Military/Amateur Radio Crossband Communications Test. 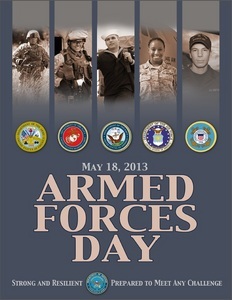 Although Armed Forces Day is traditionally celebrated on the third Saturday in May -- May 18 in 2013 -- the AFD Military/Amateur Crossband Communications Test will be conducted on May 11 to prevent conflict with the Dayton Hamvention®, scheduled for May 17-19. The annual celebration features traditional military-to-amateur crossband communications SSB voice and Morse code tests. These tests give Amateur Radio operators and short wave listeners an opportunity to demonstrate their individual technical skills and to receive recognition from the appropriate military radio station for their proven expertise. QSL cards will be provided to stations making contact with the military stations. Read more. With the 2013 hurricane season approaching, the National Hurricane Center (NHC) in Miami and the Hurricane Watch Net (HWN) are gearing up for what could be a very active storm season. In preparation for the upcoming season, the HWN is currently seeking new members who can serve as net control stations. The HWN provides on-the-ground, real-time weather data from Amateur Radio operators who volunteer their time to monitor their calibrated home weather stations. The stations report that data to the HWN, who in turn reports it to WX4NHC, the Amateur Radio station at the NHC. "The Hurricane Watch Net relies on volunteer operators -- our members -- who serve as our net control stations," HWN Net Manager Bobby Graves, KB5HAV, told the ARRL. "HWN members are hams who have above-average stations, are capable of effectively conducting HF net operations and are willing to commit their time to operating in support of the HWN's mission during net activations." Read more. Logbook of The World (LoTW), the ARRL's online QSO confirmation system, will undergo scheduled maintenance on Thursday, May 2 at 5 PM (2100 UTC); this should last approximately three hours. LoTW will be offline and unavailable during this time. Thank you for your patience. This feature is a concise monthly update of some of the things that the ARRL is doing on behalf of its members. This installment -- which covers the month of April -- takes a look at the FCC's denial of an ARRL Petition concerning BPL, the ARRL's meeting with FEMA Administrator Craig Fugate, KK4INZ, World Radio Day, upcoming conferences, updates from the ARRL Development Office, reports from the Official Observer Desk and more. Read more. W1AW, the Hiram Percy Maxim Memorial Station, is celebrating its 75th anniversary this year, and what better way to show your support of Amateur Radio's flagship station than by sporting W1AW commemorative gear! The ARRL is pleased to present a limited edition T-shirt, pin and challenge coin to mark this milestone. Your purchase helps support W1AW -- $5 from every shirt purchased and 100 percent of the key chain and pin proceeds go directly to the W1AW Endowment Fund. Read more. Since 2001, the US Office of Personnel Management has designated the ARRL to participate in the Combined Federal Campaign (CFC), the annual giving campaign for federal employees. In that time, this campaign for civilian employees of the federal government, US Postal Service workers and members of the military has generated almost $220,000 for ARRL programs. The CFC provides federal employees with an easy way to support the ARRL's effort to represent its members and all radio amateurs. 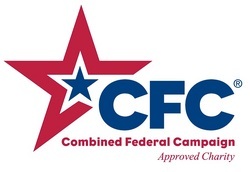 The CFC encourages individuals employed in all branches of the federal government to pledge by payroll deduction to the non-profit organizations of their choice. The ARRL encourages eligible radio amateurs to consider the League when designating campaign recipients. Payroll deduction through the CFC is an easy way for participants to support the ARRL over and above their annual membership. Such contributions support programs that are not funded by member dues, enriching the ARRL's ability to serve its members and all of Amateur Radio. Read more. Digital communications enthusiasts will be heading to the Pacific Northwest this autumn for the 32nd annual ARRL/TAPR Digital Communications Conference (DCC), September 20-22, at Cedarbrook Lodge near Seattle, Washington. The ARRL/TAPR DCC is an international forum for radio amateurs to meet, publish their work and present new ideas and techniques. Presenters and attendees will have the opportunity to exchange ideas and learn about recent hardware and software advances, theories, experimental results, and practical applications. The DCC is for all levels of technical experience -- not just the expert. Introductory sessions are scheduled throughout the conference to introduce new technical topics for both beginners and experts. Read more. Active sunspot region 1732 released a C3.0-class solar flare on April 29. Fortunately, most of the plasma did not have the velocity to escape the gravitational pull of the Sun and was pulled right back. 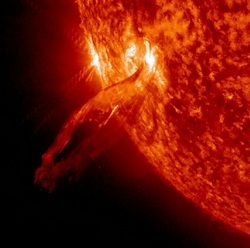 View NASA's video of the flare here. Tad Cook, K7RA, reports: Solar activity made a healthy jump over the past week, with the average daily sunspot numbers up over 30 points to 120.9, while the average daily solar flux increased more than 27 points to 136.5. The most active day for geomagnetic indices was May 1, when the planetary A index reached 21 and the high-latitude College A index (measured near Fairbanks, Alaska) was a whopping 57. That number has been higher, but only twice in the past six months, when it was 64 on March 1 and 79 on March 17. The latest forecast has the solar flux at 165 and 170 on May 2-3, 165 on May 4-5, 160 on May 6-7, 165 on May 8-9, 125 on May 10-11, 120 on May 12, 125 on May 13-15, 120 on May 16-17, and 125, 120, and 130 on May 18-20, and rising to 135 on May 21-22. The predicted planetary A index is 12 and 8 on May 2-3, 5 on May 4-20, then 15, 10 and 15 on May 21-23, and then down to 5 for at least the following three weeks. On May 1, NASA released a new solar cycle prediction, but it wasn't really new. These arrive at the start of every month, and have remained the same since March 1 when NASA's prediction for the smoothed International Sunspot Number at the cycle peak shifted from 69 to 66 for fall 2013. Look for more information on the ARRL website on Friday, May 3. For more information concerning radio propagation, visit the ARRL Technical Information Service Propagation page. 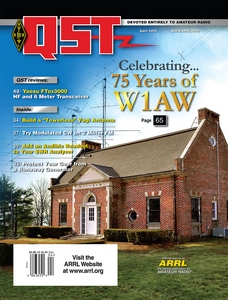 The winner of the April QST Cover Plaque Award is Gerorge Wallner, AA7JV, for his article "The Garden Beam." Congratulations George! The QST Cover Plaque Award -- given to the author or authors of the most popular article in each issue -- is determined by a vote of ARRL members on the QST Cover Plaque Poll web page. Cast a ballot for your favorite article in the May issue today. Joseph J. Schroeder Jr, W9JUV, of Glenview, Illinois, passed away Tuesday, April 30. He was 83. An ARRL Life Member, Schroeder was on the editorial staff for Ham Radio magazine from August 1974-July 1990, penning almost 400 articles that ran the gamut from FCC actions to Field Day to licensing issues. Schroeder was also the founding editor of HR Report, a newsletter published by Ham Radio. 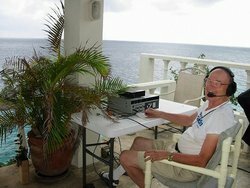 Schroeder was one of only three radio amateurs who had 394 confirmed DXCC entities, placing the trio at the top of the DXCC standings. Schroeder had missed only seven entities, all of which are now deleted: Tibet (AC4), Damao and Diu (CR8), French Indo-China (FI8), French India (FN), Java (PK1-3), Netherlands Borneo (PK5) and Celebe and Molucca (PK6). Schroeder made Top of Honor Roll in 1993. Along with his 394 Mixed DXCC entities, Schroeder also held DXCC on Phone (238 entities), CW (165 entities) and 6 meters (108 entities), as well as VUCC on 50 MHz. Read more.